Ok so remember when I said lots of exciting things were happening this month? Here is the first one: I was asked by the lovely ladies of LOTM to be a guest poster for the month, eee! I was so honored that they even thought of me for a potential guest post, so of course I jumped at the chance! Hopefully I don't disappoint. 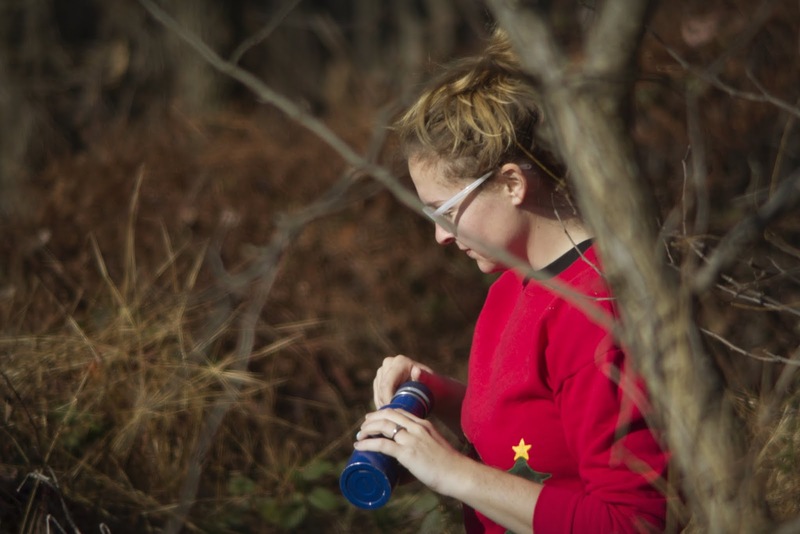 My favorite hiking item is super simple and probably an obvious choice, but I chose my whale water bottle because I just love it so much. This little guy has been with me through many adventures from hiking to multiple cross county trips! I am oddly particular about my water and the container it is in, think a young Abigail Bresilin from Signs. Ok so maybe not that extreme, but I can get pretty close, hehe. Finding a container that I like and is portable hasn't always been the easiest. Exploring the forest on the oposite side of our mountain. So when my brother gave me this guy as a birthday gift I was over the moon, and it pretty much has never left my side since. It is the perfect size; sometimes we just go on for a quick hike on our mountain and don't want to carry around a whole bunch of stuff. 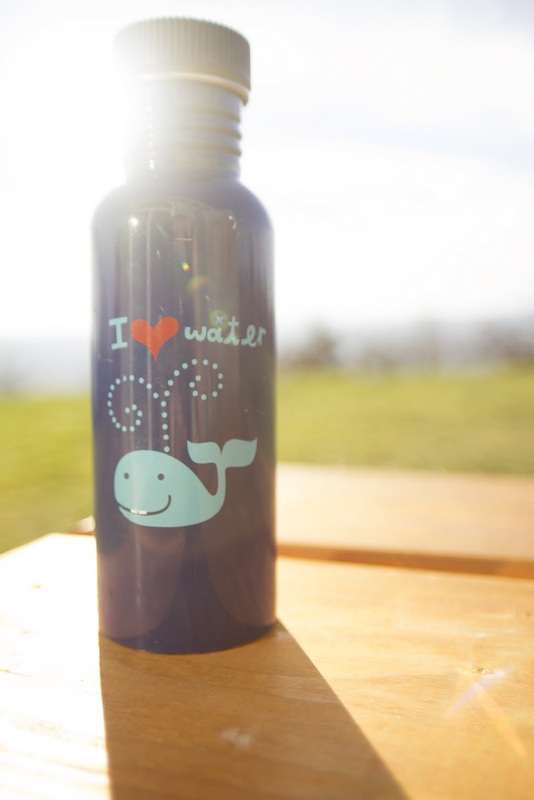 It works great just carrying it by hand, and it has an adorable picture of a whale on it. And those teeth! What's not to love about that?! Make sure to check out all the other ladies post for this week! It is really cute! And a good water bottle is always a must! I loooove it!! Those teeth crack me up! Haha! That bottle is so cute. I have a similar one with sheep all over it. Tucked away there are even a couple of sheep going at it. I totally adore it. So awesome. haha! So cute! We are twins! Love it. I'm all about a good water bottle. Aww, I wish I was a Lady of the Mountains! But instead I am a Lady of the Great Lakes, not so bad really lol... Love the whale! Completely adorable! thanks for guest blogging with us this month!!! Aw, I love cartoon whales! Ah that is so cute!!! 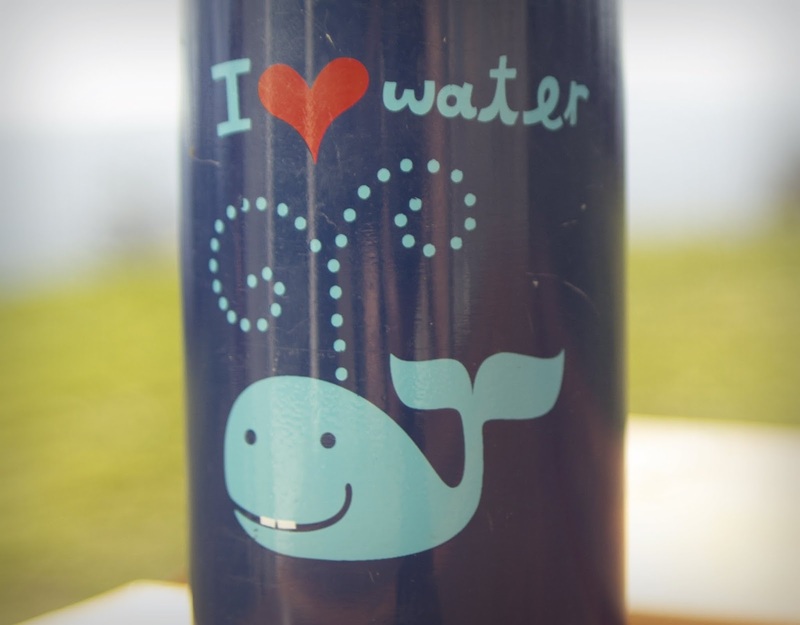 Such an adorable water bottle! I'd want to take it with me everywhere!